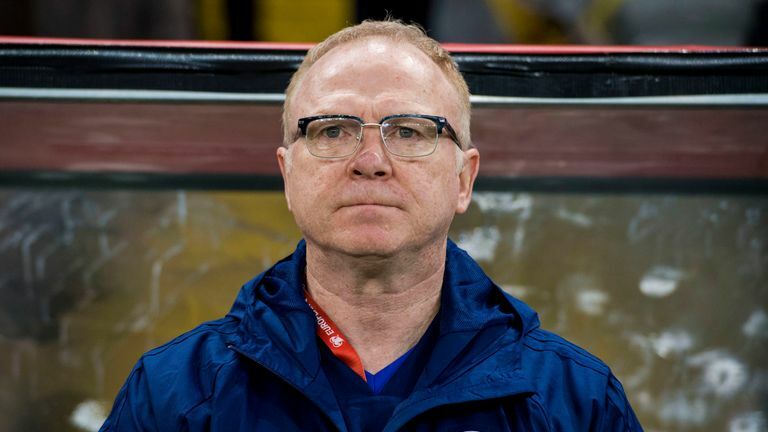 Alex McLeish is not suffering from stress and will continue in his position as Scotland manager, according to League Managers Association (LMA) chief executive Richard Bevan. 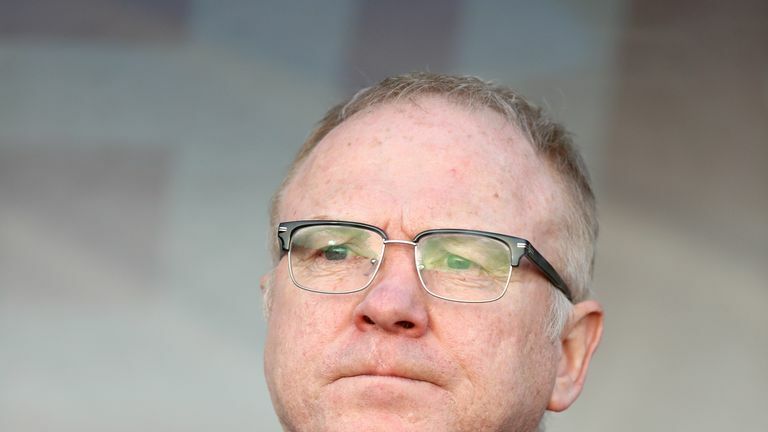 Scotland's Daily Record reported on Thursday McLeish is set to be stood down as early as next week due to growing concerns the 60-year-old is struggling with the stress levels involved in managing Scotland. But Bevan, who was appearing on Sky Sports News' Managers Special, said he has received assurances from both McLeish and a senior official at the Scottish FA his position is not under threat. "One particular paper put a story about Alex's health and about his position as manager of Scotland," Bevan said. "I have spoken to Alex numerous times today and I have spoken to a senior executive at the Scottish FA. "Alex told me he is absolutely fine. He is a highly-professional football manager. He is tactically aware. He is incredibly well prepared. "From the perspective of the SFA, they have also confirmed that he is still their manager. I am sure going forward Alex will be very successful. "If I was a Scottish fan I would be extremely happy that I have got a man with, not only his great experience, but also his passion and love for his country. "But being a manager at the highest level is all about mental toughness so when those issues do come about you manage through them and Alex will do that without any question." Scotland suffered one of the worst results in their history last week when they were beaten 3-0 by Kazakhstan - who are ranked 117th in the world. They rebounded with a 2-0 victory over San Marino on Sunday but some Scotland fans were unconvinced by the performance and booed the team at the full-time whistle. Crystal Palace manager Roy Hodgson, who was also appearing on the Managers Special programme, says managers can become easy targets when results are underwhelming. "Alex is a top-class manager," Hodgson said. "He has proven that many times. It is distressing to hear that these stories come about. It is too easy isn't it to say 'you look stressed'? "Let them come up with some medical first before you even begin to take those things seriously. "But unfortunately it goes a little bit with the territory. If you lose a couple of games or you don't get results in a couple of games everyone hoped you would get, then unfortunately people are going to try and find a way of punishing you in some way."